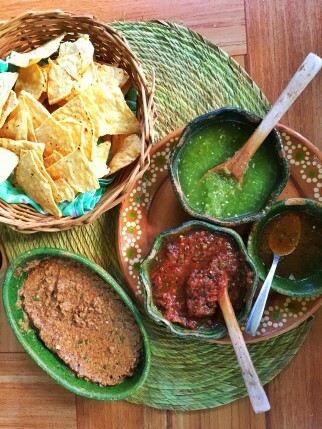 Mexican cuisine is on the rise. With the Noma Pop-up in Tulum in 2017, and several exciting restaurants opening all over Mexico the past few years, more and more foodies are planning a visit to this exciting country. 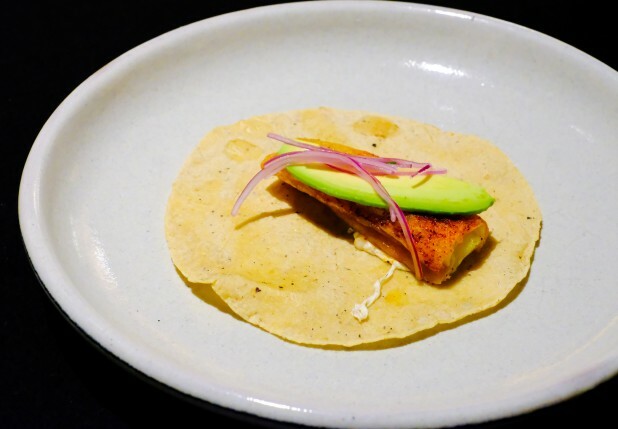 While tacos should be an important part of your food explorations, there is so much more to taste, see, smell and feel in Mexico. 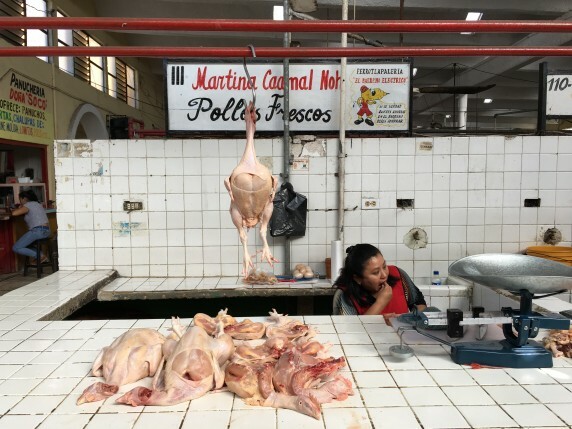 We visited the country in November & December 2017 and explored the country food-wise, from the Yucatan Peninsula to the urban jungle of Mexico City. You will find great food in every town and some of the best bites are to be found on the street. 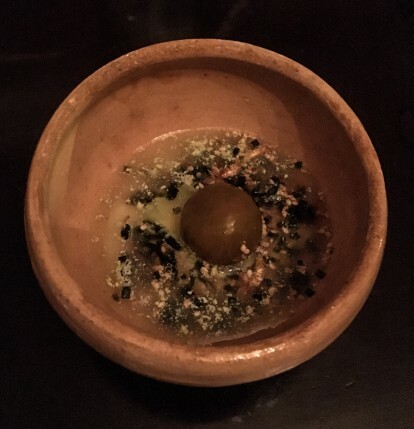 For what concerns fine-dining restaurants, head to Mexico City and Oaxaca – that is where the magic is happening! 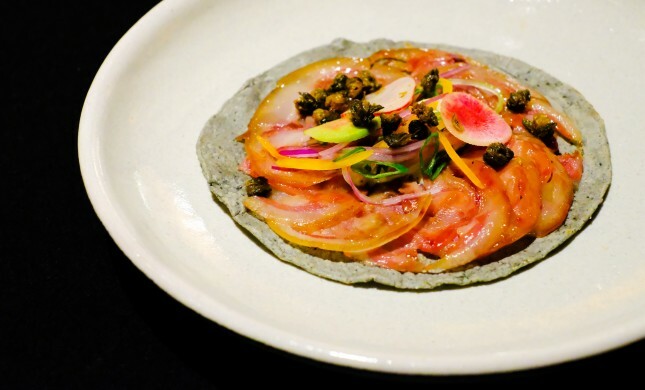 Here is our list of restaurants that define the Mexican Cuisine today. 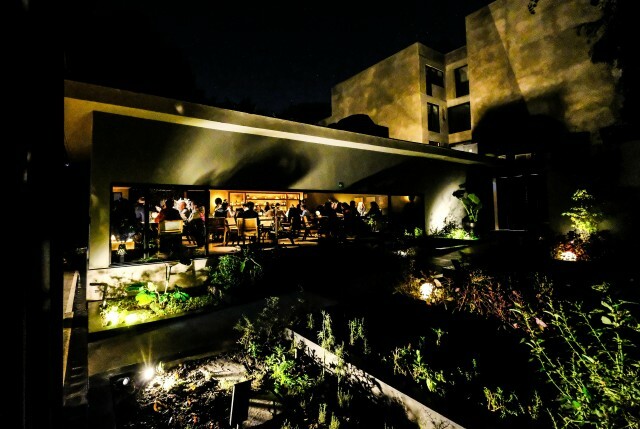 Pujol is one of Mexico’s leading restaurants and the brainchild of the world-famous Chef Enrique Olvera. It remains his flagship restaurant and a must for every foodie visiting Mexico. Enrique Olvera could be considered as the chef that put Mexican fine-dining, or even the Mexican cuisine, on the culinary world map. Enrique manages no less than 8 restaurants today, from Mexico City to New York City. The chef discovered his passion for gastronomy while cooking for friends and family. He experimented with more creative, innovative styles of cooking, but returned to a style where he emphasis the traditional Mexican Cuisine. 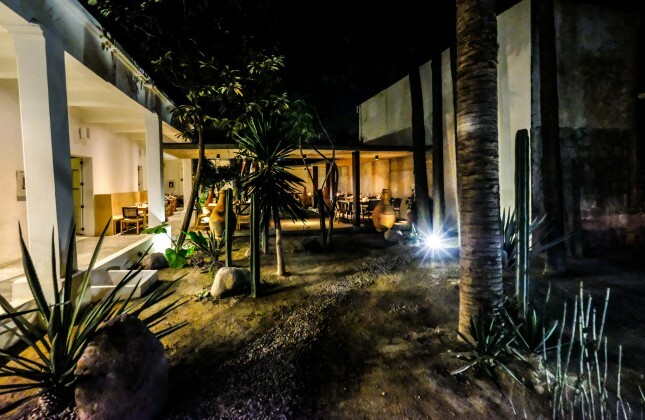 Pure and natural ingredients, and true Mexican flavours and preparations, is what one may expect at Pujol. 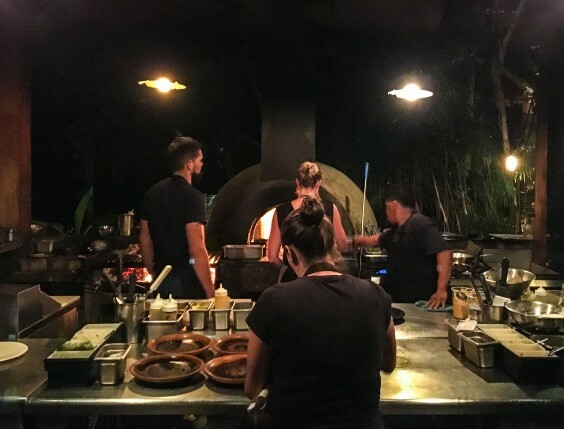 The restaurant moved to a brand new location in 2017 in the affluent area of Polanco in Mexico City. Today, it is one of the most beautiful restaurants in Mexico City. 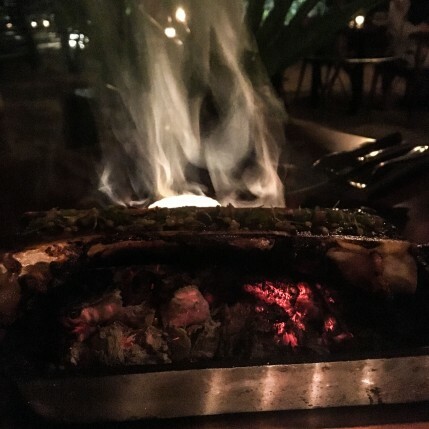 We visited the restaurant in December 2017 and enjoyed the new Omakase menu, an experience with freshly made tacos at its core. 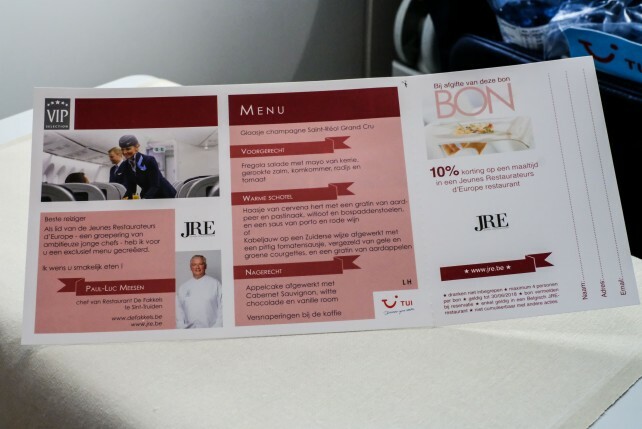 Our menu contained around 10 servings and included some of the signature dishes as well. 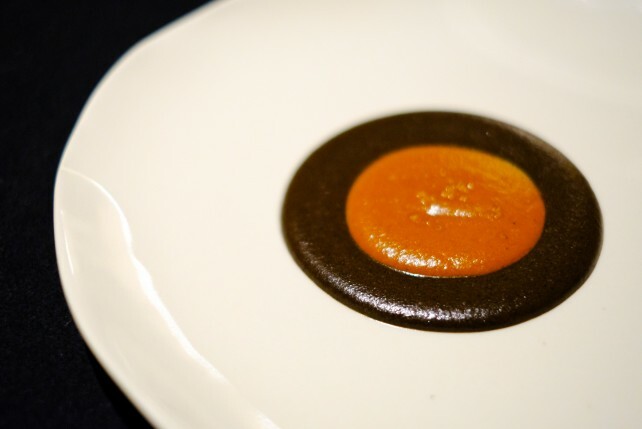 Like the ‘Mole Madre’, a famous mole dish which mixes a ‘living’ mole of 1452 days old on the day we visited Pujol, with a freshly made Mole. Exciting and delicious! 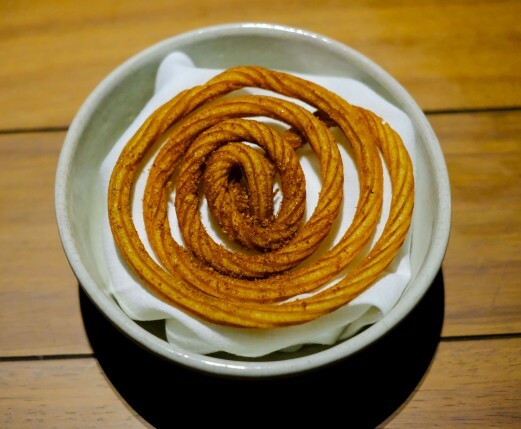 Desserts were served in the beautiful garden and we particularly remember the delicate, crispy Churros serving. 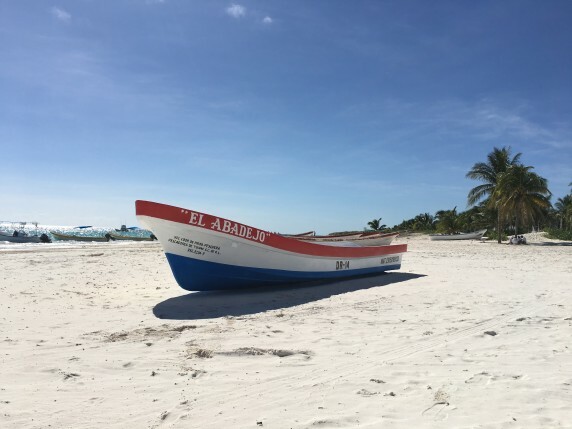 An experience not to be missed when visiting Mexico. 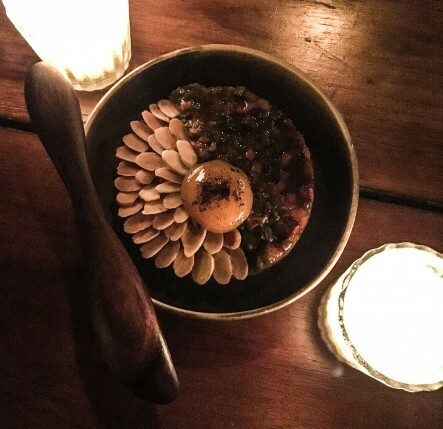 Quintonil is one of Mexico’s leading and most inventive restaurants. Just like Pujol, it is located in Mexico City’s Polanco district, right in the centre of Mexico’s capital. 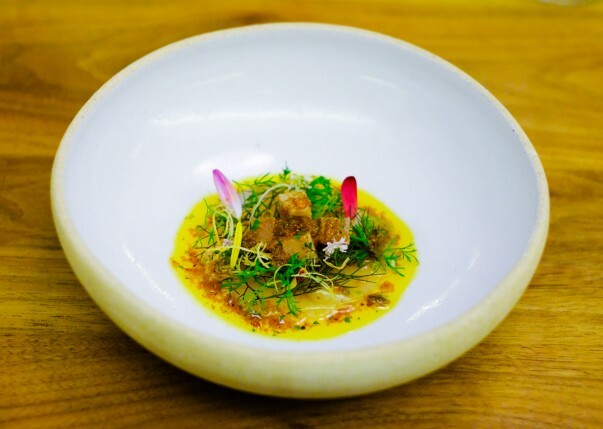 In the kitchen, Chef Jorge Vallejo, a previous sous-chef at Pujol, prepares modern, light dishes that focus on superior ingredients and pronounced flavours. 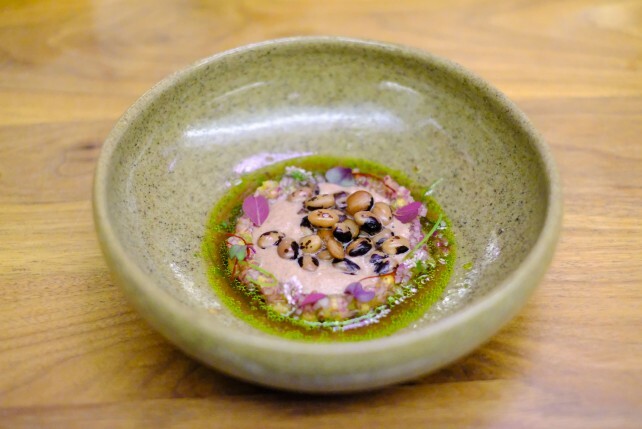 This is a truly contemporary Mexican restaurant, where you will be able to taste exciting ingredients like cactus and escamoles (ants larvae). We opted for the full tasting menu, which contained around 11 servings, with beverage pairing. Highlights from our menu included the cactus ceviche with beetroot and tangerine, paired with an excellent cocktail of beet juice and mescal, and the seafood serving ‘Vuelva a la Vida’, which combined ear shell clams with beef tongue and a delicious sauce of noisette spices and butter. Oaxaca is a charming city located a 5-hour drive or a 1-hour flight from Mexico City. It is often considered as the artistic centre of Mexico. Many art galleries are scattered around the city centre and a walk through the pleasant, vibrant streets is a captivating experience. 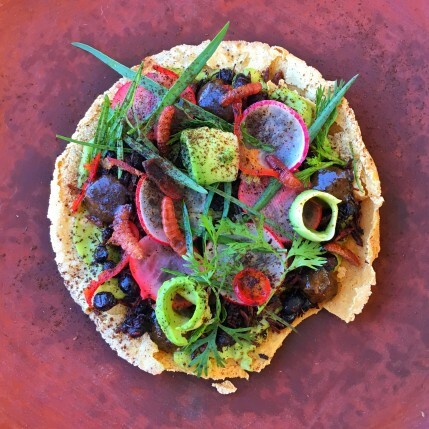 Where there’s culture, there’s gastronomy, and Oaxaca is no exception to that rule. 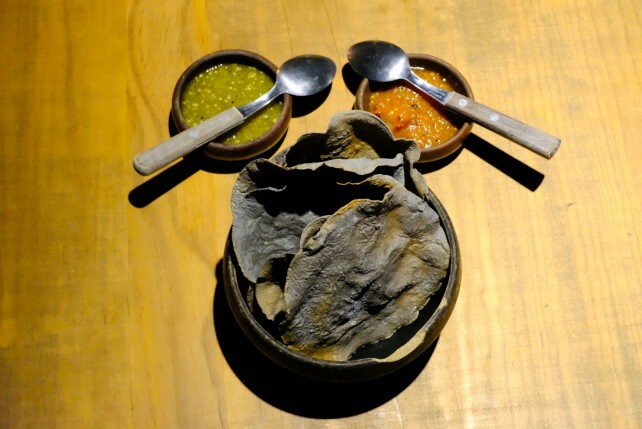 Oaxaca’s food is among Mexico’s most delicious and creative. A new legion of young chefs is transforming the culinary landscape and inserting it with innovation. El Destilado is one of them. 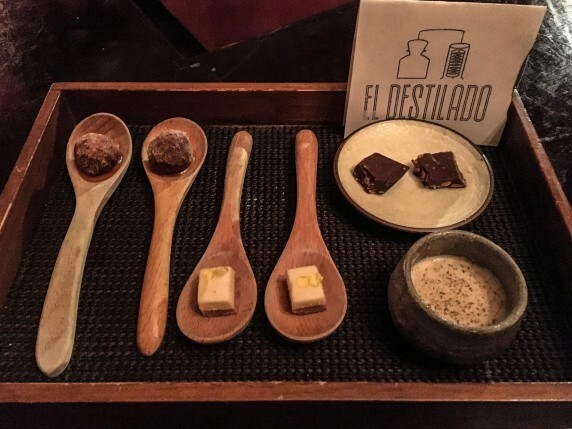 El Destilado is managed by Jason Cox, Joseph Gilbert and Julio Aguilera. Joseph and Julio worked together in the famous restaurant Saison in San Fransisco. Joseph met Jason on a ‘Mescal-investigation’ trip in Oaxaca. 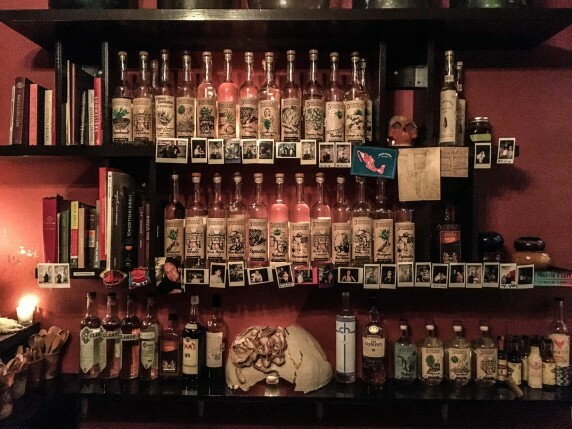 Together they opened up El Destilado as a creative bar/restaurant in 2016 and asked Julio to manage the kitchen shortly after. 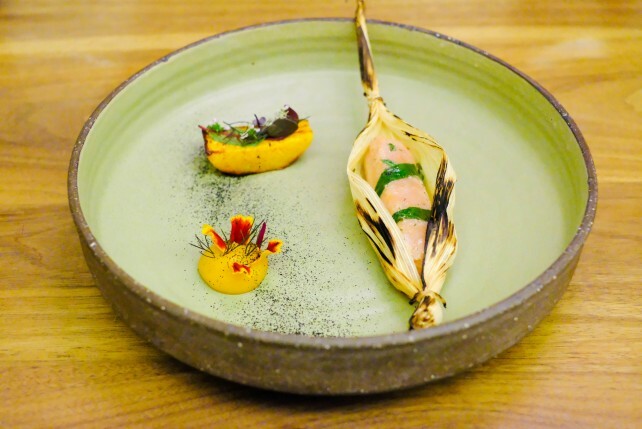 At El Destilado, chef Julio Aguilera combines his love for the Mexican cuisine and its ingredients with his expertise of fine-dining which he gained at the 3 Michelin starred Saison. 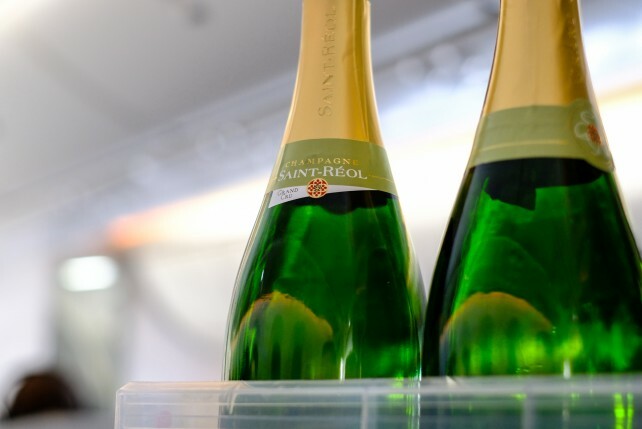 Guests have the choice between an interesting à la carte menu with mostly dishes to share, a 9-course tasting menu, or a Chef’s menu containing 12 to 14 courses. 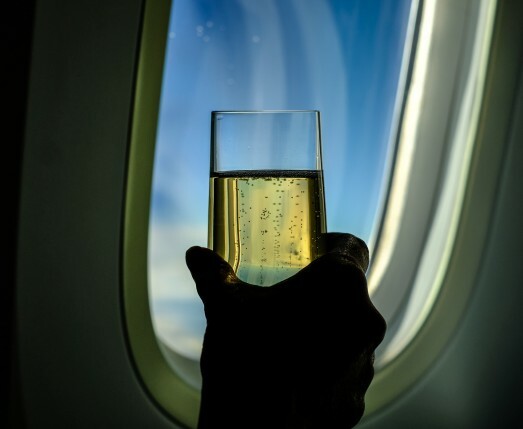 For the full experience, make a reservation for one of the tasting menus with pairing drinks from the bar. A Rock & Roll Gourmet experience! Criollo is one of the newest restaurants from the culinary empire of Chef Enrique Olvera (Pujol). It is a unique place, located near the centre of Oaxaca. 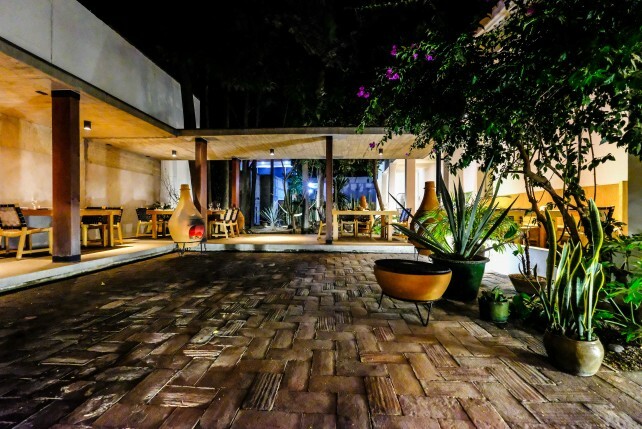 The design of the property is the work of Javier Sanchez, one of the best architects of Mexico, and is beautiful and unique. 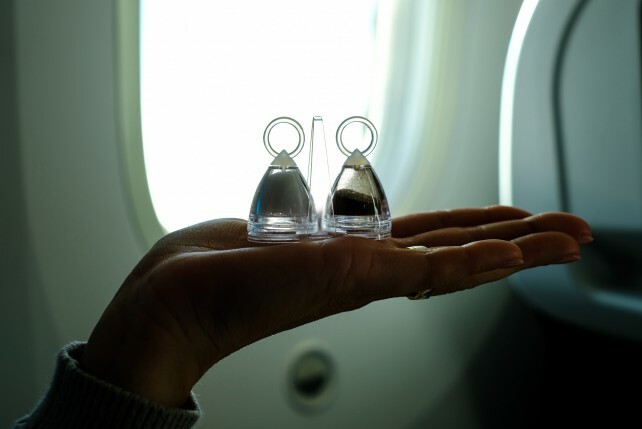 It enhances the family-oriented, cosy atmosphere, yet it is minimalistic, modern and pure at the same time. The spacious wooden tables form a great contrast against the concrete walls and the cactuses, plants, open stoves, lots of wood and the serene, contemporary artistic elements create a unique atmosphere. 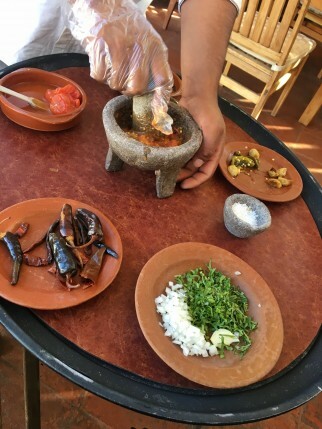 Chef Luis Arellano is the head chef at the restaurant and hails from Oaxaca himself. Luis and Enrique worked together in Pujol and a few other places as well. At Criollo, Luis is fully in charge and creates a 7-course menu that changes on a daily basis. 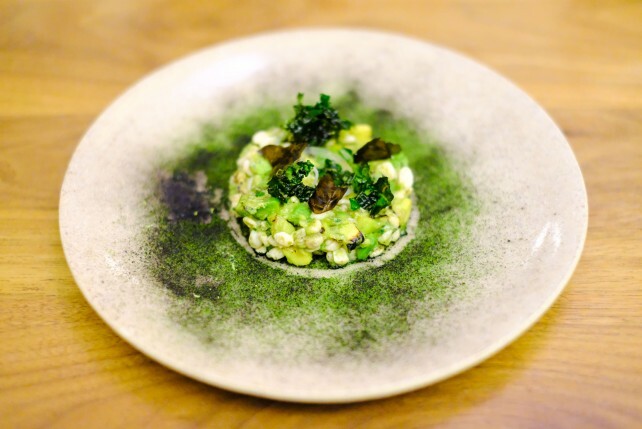 Fresh and seasonal food are the basis of the kitchen, and corn and local herbs and beans are always on the menu. 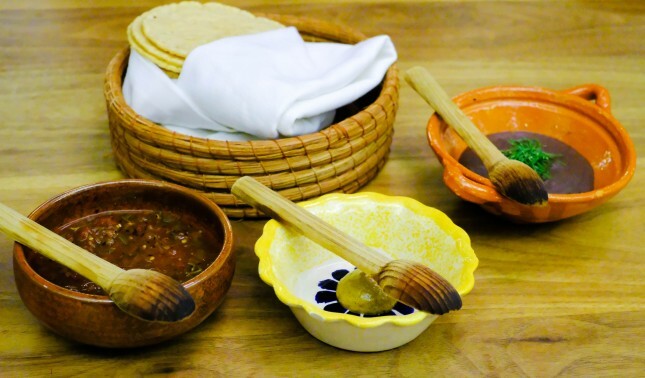 Everything is homemade: from the corn tortillas to the chocolate that is used for their Mole sauces. 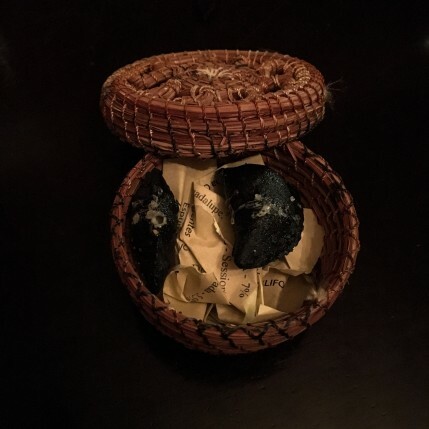 We particularly enjoyed the traditional tamale, filled with Oaxacan cheese and coloradito mole sauce. 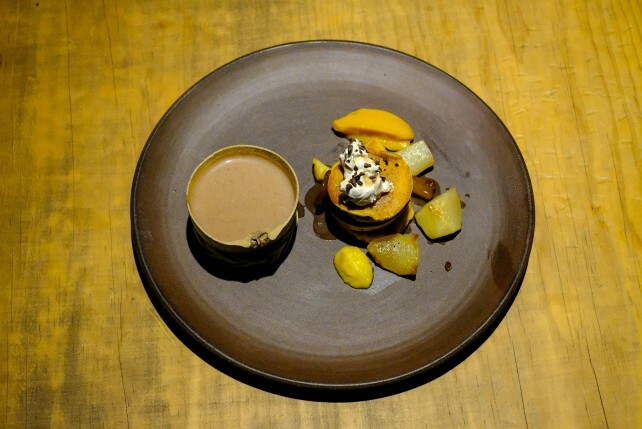 The dessert serving ‘final feliz’ combined a traditional corn and tejate hot drink with a Criolé tamale pumpkin pancake, tejocote honey and coffee cream. 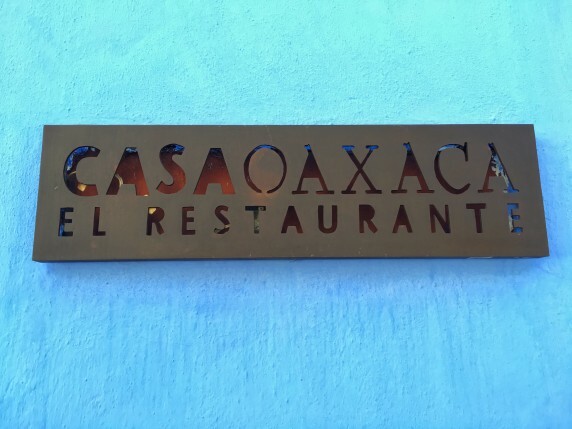 Casa Oaxaca is another one of Oaxaca’s great restaurants. It is located in the centre of the city and shares the building with the beautiful art gallery ‘Galería Quetzalli’. Guests can enjoy their lunch or dinner on the outdoor rooftop terrace (when weather permits) or in the modern, airy dining room. 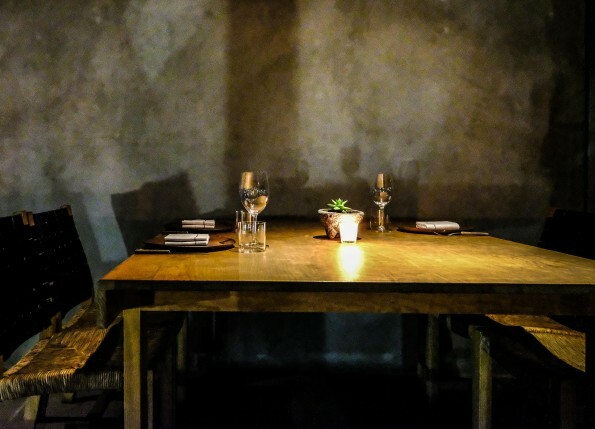 White walls and authentic wooden tables and chairs create a casual and romantic atmosphere. 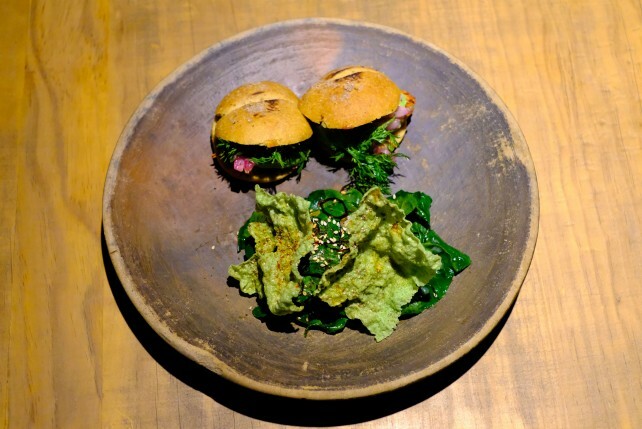 Chef Alejandro Ruiz is responsible in the kitchen and uses creative, sometimes evocative ingredients in his dishes. 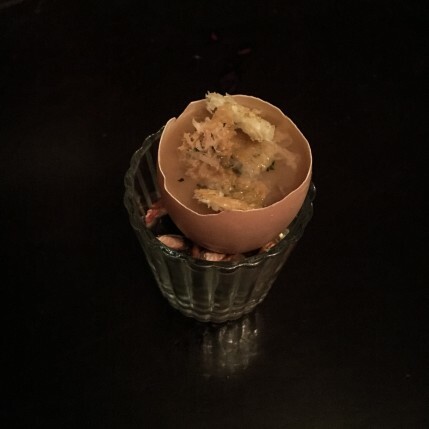 Unlike many other creative restaurants, there is no tasting menu. 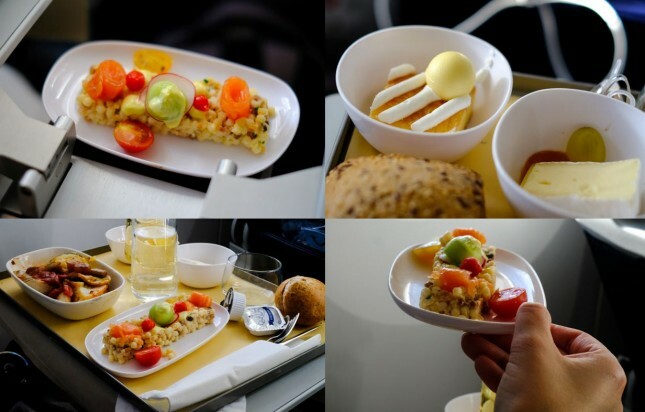 Instead, the chef offers a remarkable à la carte menu from which it is hard to choose! 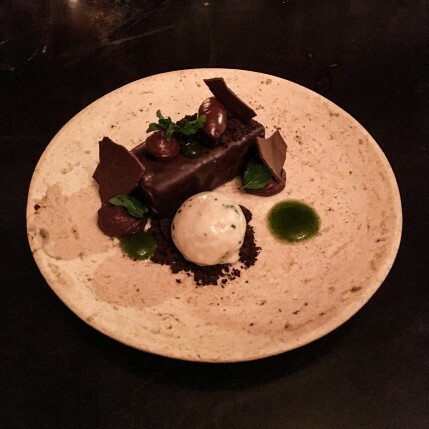 We were impressed by the creative ingredients, the colourful dishes and the excellent combination of textures. A must-try is the Chicatana ants doughnut, with maguey worms, guacamole, tepiche herb and mayonnaise infused with chicatanas ants. Challenging but oh so delicious! 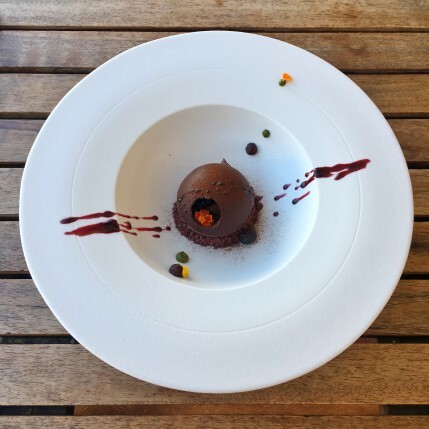 Another winner was our dessert ‘Sphere Chocolate’ with Oaxacan chocolate mousse, ginger, pasilla chilli and hibiscus syrup. 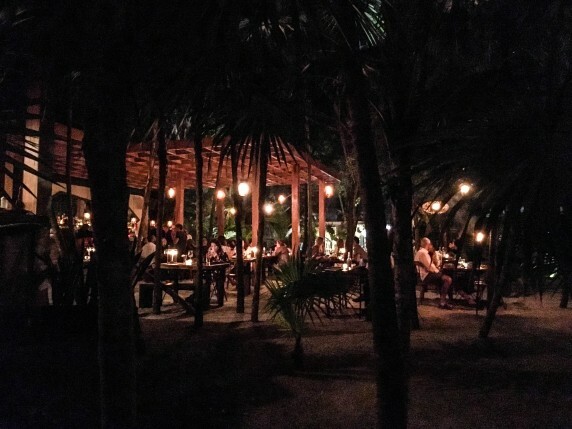 Restaurant ARCA is one of Tulum’s new hotspot restaurants. Executive Chef and Co-Owner Jose Luis Hinostroza is responsible for the food here and gained experience at some of the world’s best restaurants, including Alinea in Chicago, El Celler de Can Roca in Spain, De Kromme Watergang in The Netherlands, and, last but not least, Noma in Copenhagen. 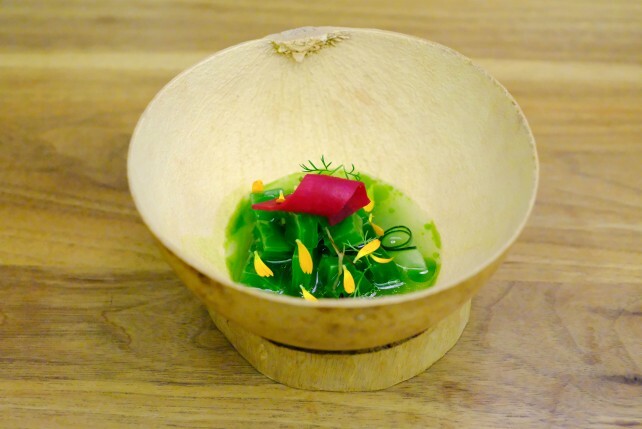 The young and driven chef also worked in the research and development team of Noma Mexico. The tartare of roasted peppers with cured egg yolk, toasted almonds and pepper ash. 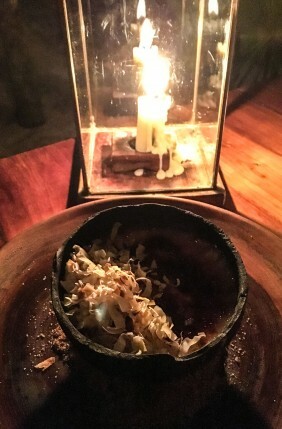 Finish with the Coconut Creme Brûlée and your night will be complete! Most people fly into Mexico through Mexico City. 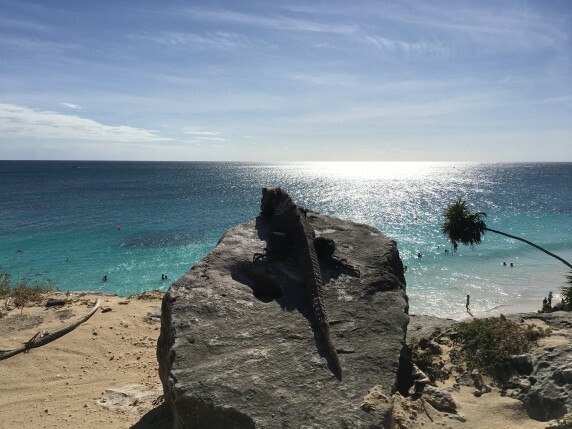 However, when flying from Brussels, you can also choose a direct fly to Cancun with TUI fly. 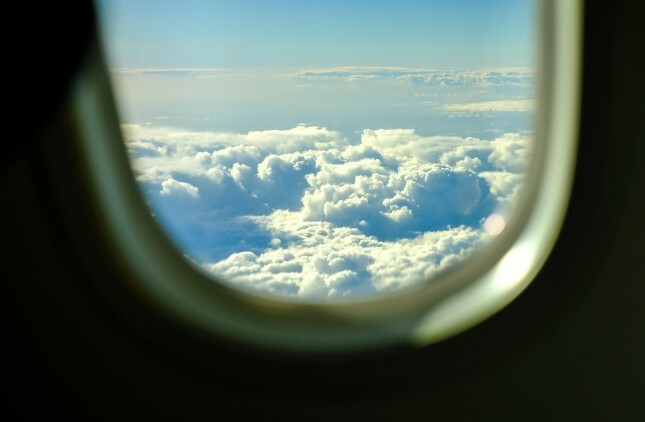 Those flights are often much cheaper (as from 350€ return) and are possible 3 times a week. 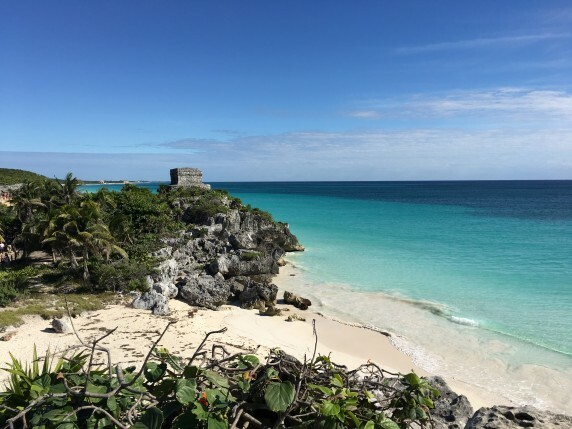 From Cancun it is very easy to get connecting flights or buses to many destinations all over Mexico. 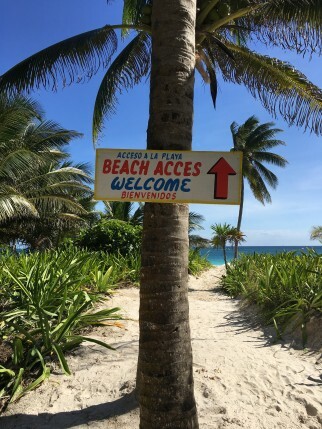 Flying into Cancun also means that you can start and end your trip with some beach time. 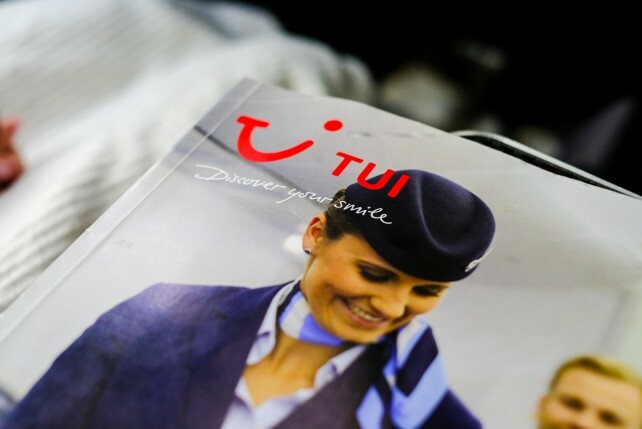 You can choose this when booking via www.tuifly.be or after your booking via the contact center (+32 2 279 47 98).